People who are born between May 23rd and June 20th come under the sun sign Gemini. Those who belong to the sun sign Gemini are said to be friendly, jovial and creative. They wear their emotions on their sleeve and are extremely expressive beings. The gemstone assigned to the zodiac sign of Gemini is the pearl. It is considered to be the lucky gemstone for the sun sign and there are plenty of reasons why. One of the main reasons for this is that astrologers claim that since Gemini is governed by Mercury, and pearl harnesses the power of Mercury, the combination of pearls and Gemini work well from an astrological point of view. Another reason is that pearls are said to have two important characteristics: coolness and power. These are two aspects that Geminis can most related to. Geminis are said to be cool-headed and like to be the centre of attention. One might think of pearls as being found in only one colour: white. However, pearls are available in a range of colours. There are several different types of pearls. White and off-white to cream coloured pearls have always been the top choice for jewellery, with black, silver and grey pearls coming in next. A few jewellers and diamond manufacturers are also artificially colouring pearls to give the gem a unique look, but this is often at the cost of their natural lustre. Pearls are called the Queen of Gems and have been revered and used in jewellery for centuries. History does not have an actual record of who was the first to discover pearls, but a few legends tell tales of the gemstone being found by those in search of food along the seashores. Pearls have always been considered precious. In the East, pearls were gifted to Chinese royalty. In Rome, Caesar allegedly passed a decree that pearls could only be worn by those who belonged to the ruling classes. Pearls have interesting folklore. A tale from China narrates that in ancient times, pearls fell from the sky when dragons fought. The Greeks too have their own tale to tell. 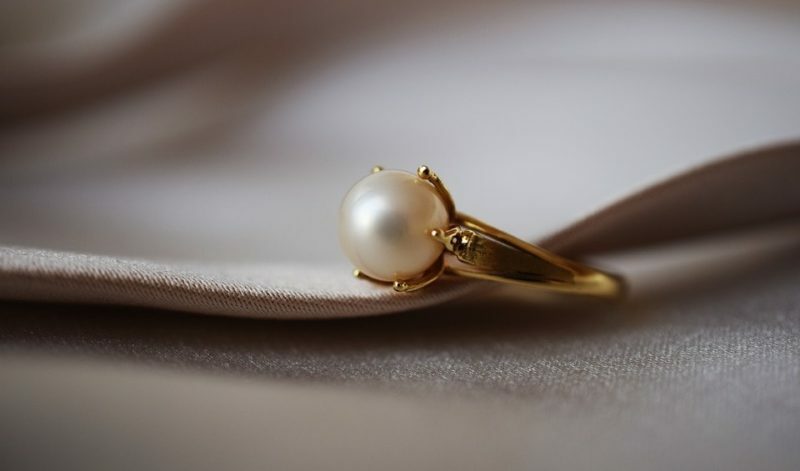 In Greek mythology, wearing pearls was believed to promote marital bliss and it prevented newlywed women from crying. Some tales say that pearls were once considered to be the tears of the Gods. In Vedic astrology, it is believed that wearing pearls help a Gemini maintain stability in life. It also said that pearls uplift the self-confidence of Geminis. Pearls are said to help control a Gemini’s blood pressure and is believed to protect one from epilepsy and mental health issues. Some people believe that if you wear pearls on a Monday, you can enjoy wealth, good health and a happy relationship with family and your loved ones. Some astrologers are of the opinion that since pearls enhance the beauty those who wear them, they have the power to retain a woman’s looks for a long time. Astrologists claim that wearing a pearl ring or a pearl necklace brings fame, glamour, popularity and it helps to remove the negative influence of planetary movements on humans, especially Geminis. Shopping for pearl jewellery is easy. These days, if you are shopping in India, most jewellery stores have accessories in pearl. See the best jewellery brands in India to buy jewellery. For those who prefer shopping online, websites like Amazon, Jpearls, Bluestone and Pure pearls are good sites to shop for pearls. Most of these websites have exchange policies and offer warranty for a limited time on their pearl products. Those shopping abroad can check websites like Etsy, Tiffany and Amazon. If you are looking for luxury and designer pearl jewellery you can shop at Neiman Marcus, they have an excellent collection of designer pearl jewellery on their website. They have a sale website called the Last Call that offers jewellery at discounted prices, too. Pearls make some of the most precious jewellery and if you are a Gemini, there are added advantages of wearing them. So whether you are fashion forward or are looking for something stunning which is equally symbolic, pearl jewellery can tick all the rights boxes. If you are already the owner of exquisite pearl jewellery and are looking for the best way to clean and maintain your trinkets, be sure to read our article on the best tips to follow to look after pearl jewellery.